Rooms old fashioned and not insulated from any noise. Food was good. Staff were friendly and accommodating. Spa Facilities were poor. Everything was booked or too busy. 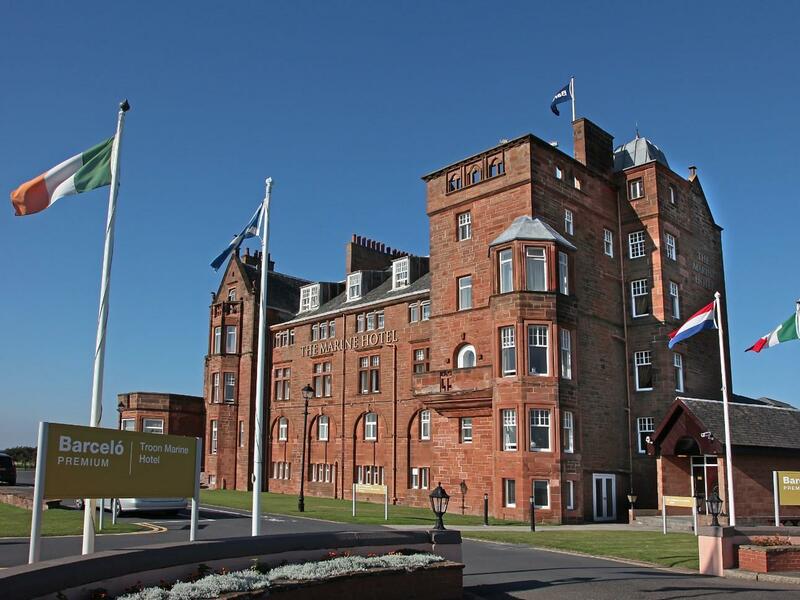 I had always wanted to stay at the Marine - an iconic hotel due to Royal Troon. It has a lot going for it but with some investment could do so much better. The room was clean and comfortable and bathroom perfectly functional. The bar was characterless however, as was the breakfast room. The place is in need of an upgrade to make it more welcoming and memorable. The photos of the golf course going up the stairs are excellent, but how about some more golf memorabilia in the bar? The staff were good and efficient. A nice stay that could have been so much more! 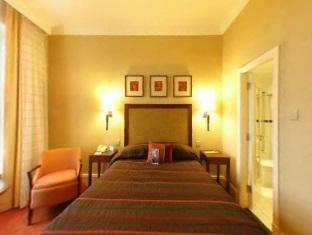 Nice hotel but bedrooms need updated. Although we requested a 'sea view' our room only had view of rooftops. Receptionist did offer us option of another room with slightly less rooftops to look at but was much smaller. Must say we felt really disappointed as we'd paid full price for our stay. Staff were friendly and breakfast was very tasty. The restaurant is the only thing that lets the hotel down, it's just average. especially the starters. Enjoyed yet another stay at the Marine Hotel, the staff are helpful and attentive, the food is excellent and the room had a front sea view - what more could you ask for? Grand hotel. Swimming pool and other facilities were A1, magic temperature throughout. Staff were ticky boo. Grub was sound. Double suit, was ideal for accommodating the business trip. Easy parking. Cleanliness all over. All I can say - Spot on! 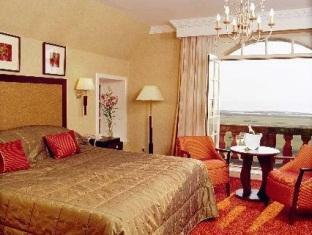 My daughter and I booked a 2 night twin room stay with spa treatments as a birthday treat . The only problem we had when we were there was no wifi in our room on the first night. I had planned to listen to study information and could not. I complained to the receptionist and she told me to come down and log on in the bar and then go up to my room, which I did twice to no avail. When I said that I had stayed at a Premier Inn the week before with no problems, she said that there was nothing she could do until tomorrow and it was probably the router, with no apology. All other staff were pleasant and courteous during our stay, and the spa and leisure facilities were good. Breakfast was fine for me but limited for my daughter who is vegan. Room 107 a single room so small that it was necessary to move the bed in order to access the wardrobe. No room for an easy chair in the room. Breakfast ingredients often cold. Magnificent setting let down by sub standard accomodation and service. This is an expensive hotel which is trading on its former glory. Threadbare stair carpets say it all. Staff are rude and unhelpful. Breakfast is disgusting and not what you'd expect from a 4 star hotel. Hotel is dated and tatty, rooms are very average. One room had sick in it and hotel staff didn't even apologise. Very disappointing experience. Only good thing about this hotel is the view. We were on a family golf vacation and stayed at the Marine Hotel while playing several local courses. The hotel location could not have been better. The staff was kind and helpful. Amenities were fantastic. I would definitely recommend and would stay there again. Always enjoy our visits to the Marine.Great facilities and top staff. Great location next to Royal Troon Golf Club.